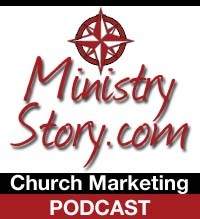 Recently, a good friend, David Tonen, interviewed me for his Ministry Perspective Podcast about the importance of Brand Positioning for Churches. It’s freshly posted on his website so I figure I’d let you listen in. He asks great questions; and I try to answer as concisely as possible. It’s a message that all Pastors should listen to. It starts with Positioning and gets into other Leadership topics. Well worth the listen!